As the only A-list global cinematic event in China, the Shanghai International Film Festival undoubtedly arouses high hopes for a lot of people. Unfortunately, I cannot see any improvement over last year either in film selection or services. Sadly, its services seemed to deteriorate. The 14th edition of the festival -- lasting from June 11 to 19 -- showcased 16 films from Asia, Europe and America lining up to compete for the Golden Goblet Awards. Judging from the nine films I watched, I have to say the selection was quite a disappointment. Most of the films were second- or even third-rate. Dragging too long and over-filled with dialogues, some of them were terribly boring and prone to put the audience to sleep. I cannot see why these films, totally lacking in merit, were selected for competition. This year a jury, headed by American director Barry Levinson, gave five out of nine awards to two Chinese films. Last year, a jury handed out half of the eight awards to a single Chinese film. These cannot be merely coincidental, given the poor quality of these works. It indicated that the jury may follow a certain unwritten code. This year, the Chinese film "The Young Man Sings Folk Song in the Opposite Door" won the largest number of awards. But two out of its three wins – the best actress and screenplay -- were utterly unconvincing. The film, in essence, is a publicity instrument for Ziyang, a town in Shaanxi Province where the film is set. As its name may indicate, the de facto leading role is Ziyang's local folk-song art. The film was funded and generally produced under the guidance of the local authorities. It was doomed to be a failure from the very start. The film, itself, proved to be so. Its screenplay was segmented and largely lacked coherence. All the characters were paper-thin, far-fetched and forgettable. In particular, the leading female character was so cold-blooded and pathetic that I doubted I was watching a love story. The fact that the script was named the best is way beyond my understanding. Actress Lu Xingchen delivered an average performance for her debut role in the film. But I am absolutely sure that Turkish actress Nilufer Acikalin's tour-de-force acting in "Hayde Bre" eclipsed Lu's in every way. This year, the festival's organizers showed a detached attitude, with disastrous results. They said reporters could get free attendance for competition films. But they would rather hand out free tickets to local residents than let the reporters see the films. Meanwhile, a team of scalpers were in full operation. 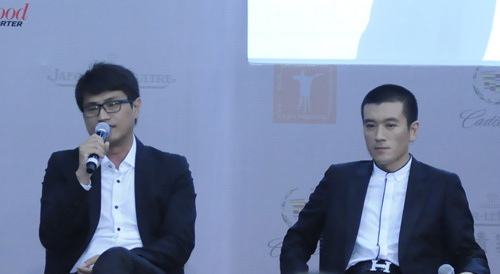 As a result, tickets for four films' official screenings were said to be sold out. At the so-called sold-out screenings, five to six thug-like, expressionless staff members would stand outside the screening room and curtly wave every reporter away. When asked if they could get in to see whether all the seats were taken, their answer was always annoying. "We cannot do anything." On one occasion, I, along with some other reporters, managed to elbow into a "sold-out" official screening of Italian film "Ainom" and found out quite a few seats were empty. Here the organizers seemed to lose the plot. For a film festival, if the reporters are shunned away from the official screenings, what would there be for them to report? Without showing films to reporters, would the related press releases mean anything? Jury member Wang Quan'an actually sensed the festival's diversion from its goal. He commented that the festival seemed not to focus on cinema itself but on money. It was overwhelmed by money-grabbing producers who bragged about getting money from investors and achieving big box offices. Now, the path the organizers are taking is obviously problematic. It cannot make the festival live up to its status. Organizers should think more about how to improve before it is too late.